Megha's prodding worked. 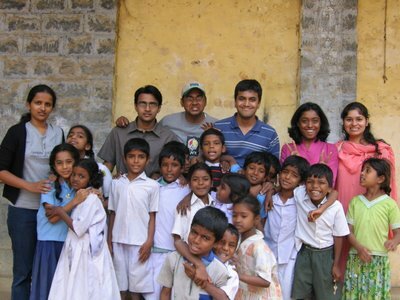 I finally decided to share abt the Ulsoor School. As per the school dev Plan, we want to have 3 parents' meetings a year - basically get them to get their kids to study..find out abt their problems with reference to kids and school etc. Generally the turn out is low for such meetings, so this time, we sent a circular to all the kids' homes saying that we will give notebooks this year, but the parents need to come and collect it. Basically we did the NBD on a working day. and got parents to come. The school has 90 kids..and we had arnd 45ppl at the meeting. That’s a high turnout, by Govt.school standards. That's like having 150 ppl at the Tamil School parents meeting. Anyways, I spoke to the parents..addressing in kannada and tamil..and said that we're there to help the kids have a great future..and we need their support. Told them that we only want them to make sure that kids attend school on time and regularly and that they sit in front of their books for an hour atleast, at home. I told them that even if they don't know how to read and write, let them just see if the kids sit in front of the books. Asked them to come to school and check with the teachers on how their kid is progressing. They listened to all this, and said they would put in some effort...atleast quite a few said so. Then we got onto discussing their issues and they asked for uniforms for the kids. and then I said " Almost all of you pay Rs.100 a month for cable tv subscription. When the Govt. 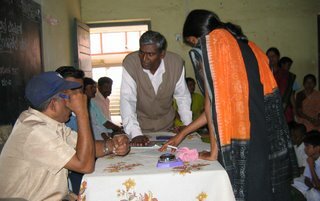 gives you cloth, cant you pay Rs.100 to get it stitched" ..and then much to my surprise..they started clapping!! Anyways.. then it was decided that whoever could, would get it stitched..and whoever couldn’t, would ask us. I've not heard back so far. anyways..some of the 'seniors' of the community who came were of the opinion that more such meetings will help in getting parents to get kids to study.We decided to meet on a Sunday next time though. In other updates, we start Pygmalion next week. We got the school to get their Electricity sorted out etc..but now we have 'current' but no computer.So I'll be lugging my laptop to school from next week. If anyone of you can get me a comp, nothing like it! The Basavangudi school kids repeating the new words that we taught them was our music for the day on Saturday, when we continued with the WordsWorth session that we had started the previous Saturday. 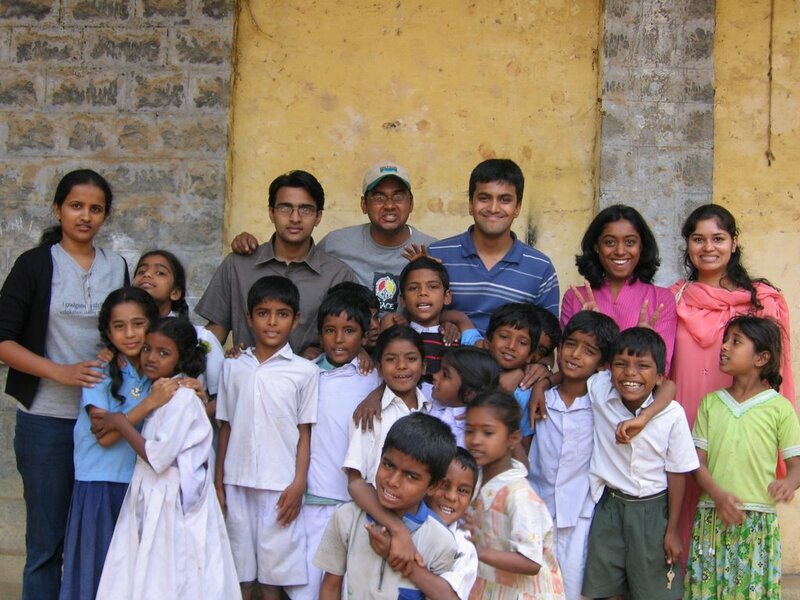 We were seven of us- Divya, Ganaraj, Praveen, Shilpa, Shwetha, Vikram and myself. This time we were showing them the pictures from a laptop as we didn't have the printed pictures and I think that was another reason for their excitement. We were amazed by their enthusiasm to say the least! We covered around 20-30 words (mostly fruits and vegetables). We noticed that a few kids picked up the words sooner than the others. Some kids were hesitant in say the words if they didn't find it easy. We were thinking of making smaller groups (say a group of 4 kids) from next time onwards so that we can make each kid repeat every single word that we teach. It is encouraging to see a group of teachers, parents, donors, adopters and the volunteers in one room working for one cause - Kids and their education. This Saturday was the scholarship distribution function in Rajajinagar II block school. A bunch of SC/ST kids were awarded a sum of Rs.75 each from the government. Along with this was the see-off function for Meenakshi ma'am who served 20 years in that school. Sridhar, Lakhsmi, Pacchi and I representing DSF. The function started at 11 when the kids had their performances. This school kids are really bold and come up on the stage to sing, dance and even to say a few words about their teachers. I can remember performances of Manjunath – who sung about 4 songs, a very cute “math song” by Prajwal, a folk song and dance by her sister, Pragati, a kolata by a group of kids and a couple of songs by Janhavi. I can tell you that the kids were unprepared (except for the kolata) nevertheless gave a wonderful performance. After an introductory speech from the head master, Lakshmi gave a brief on DSF, its activities, intentions and goals. It was a wonderfully worded speech addressing the need to work together to build a better tomorrow for the kids in our country. This speach can be made available to anyone planning to address a group of teachers and parents in kannada. The scholarships were given away and then we gave bus passes to 20 deserving kids. Then followed a series of "few words" from all the special invitees to the meeting - The lions club member, the Education office representative and Sheela ma'am - every one emphasizing the need for parents to send their kids to school. Meenakshi ma'am was in tears as she gave a word of advice and shared her experience with the kids.It was an overwhelming experience, to say the least. A few demands were put in front of the Lions Club - Room construction, the toilet construction, drinking water supply etc and the Lions club were more than happy to take it up. Representatives from parents came forward to put their demands. Janhavi, a 5th standard kid, walked upto the stage and said they wanted and educational tour. Looking at the enthusiasm in the student, the Lions club members readily approved of it. The Education officer suggested to keep a suggestion or Wish box in the class room, where the kids can write their wish and drop it in the box. We could take a look at it and see how much we can fulfill it. It was a nice suggestion and we will be implementing it in our school from next Saturday. Anything to make the kids love coming to school, we think. 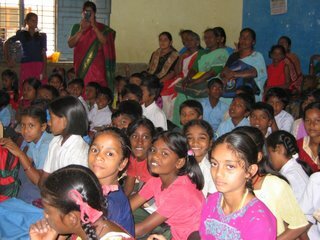 We will be starting the WordsWorth sessions and Kannada reading sessions from this week for our children. 1> Hippocampus is a library which aims at cultivating the reading habits in the kids. They want to promote this even to the kids who actually are deprived. 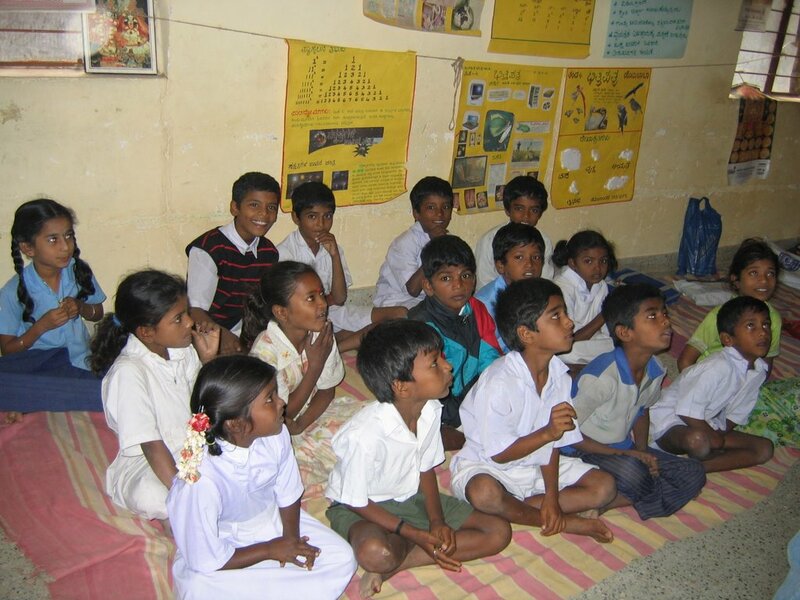 2> Hippocampus had conducted training sessions for conducting reading sessions for kids. There will be an evaluation at the end of each levels, conducted by hippocampus. For any kind of help we could approach them, either hippocampus or the trainers who trained us. 3> Our work is to now promote and inculcate the reading habits in our schools. To do this we need people who can commit and come on saturdays, so that kids get comfortable with them and do not see new faces every time :). We will get 12 Hippocampus books for a academic year. 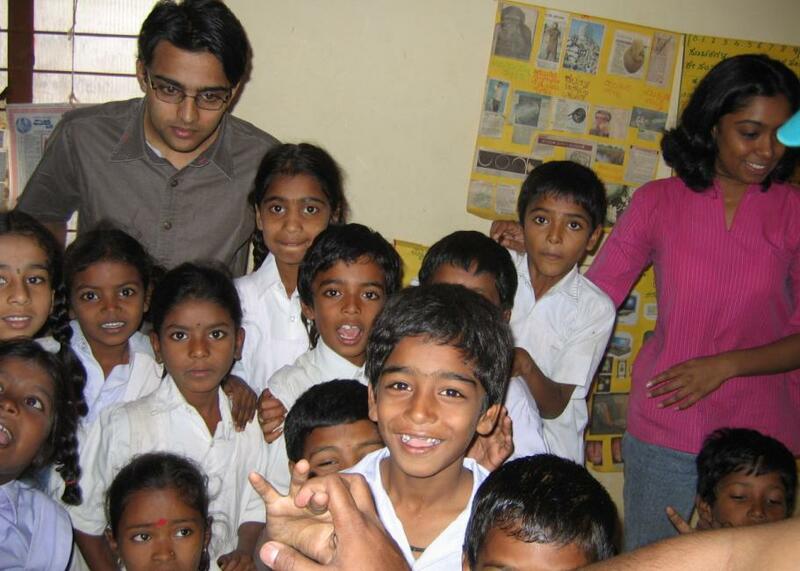 The main aim is to to improve the reading skills of kids. We will concentrate on telling the meanings of the new words in that book. We all know that for some reason we may not be able to come all weekends. So there should be enough volunteers to fill in for the absentees :). But, kids will not be comfortable to see new faces every week.So we think, all volunteers for hippocampus will go to the school first 2/3 weeks for the kids to know all of us. Then some of us can attend the sessions according to our convenience. Please let us know who are all interested so that we can meet and share the knowledge and come up with different activities to help kids read. Making Right To Education Real!